Project management is a process of planning organizing and managing activities and resources to accomplish a defined objective within constraints on time resource or cost. Project management is the application of knowledge, skill, tools & techniques to a broad range of activities in order to meet the requirement of a particular project. iBusiness Suite ERP approaches project management in qualitative aspects as well as in quantitative aspects. It enables seems less flow of data among the stake holders of the project. 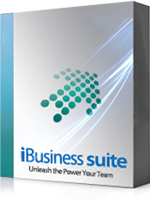 Skill based routing, task team definitions and internal communications etc are unique features of iBusiness Suite ERP. Plan ahead of the project to make sure the availability of resources and also may avoid resource leakage & time wastage. Manage your project resources end-to-end. 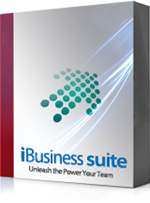 Define, record and track all key resources required (Man and Machine) in the project. Define access rights for people involved in the project to ensure user level security and restrict unauthorized access. Effectively define multiple tasks of a project/sub project in a planned sequence of execution. Easily record tasks that need to be subcontracted through the same window of the module. Record and track details related to project progress, resource performance, milestones achieved, effectively. Map expected results against the actual results for effective resource performance analysis. Identify and analyze the issues and risks involved in the project and deal with them proactively. Define cost centers and billable & non- billable attributes related to your project.